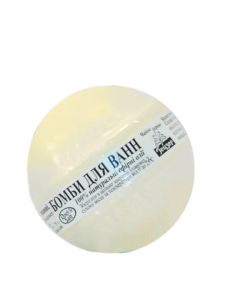 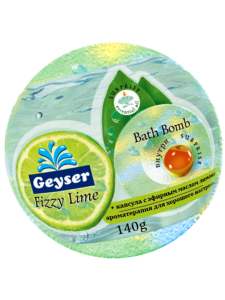 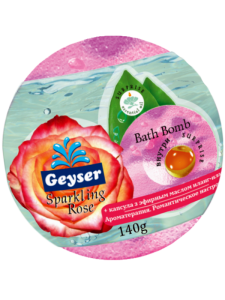 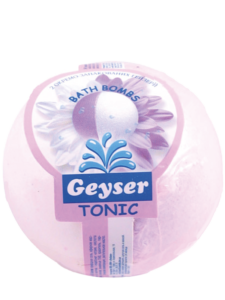 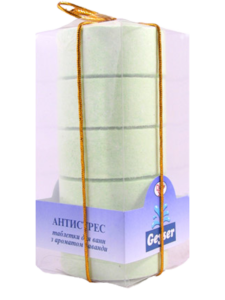 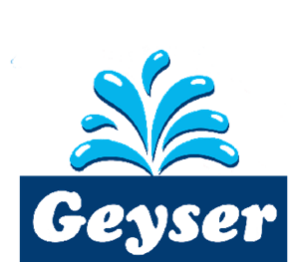 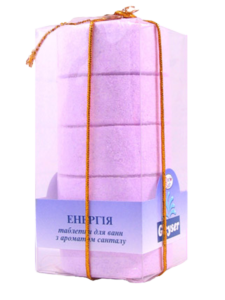 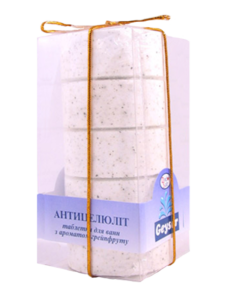 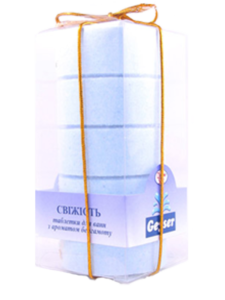 Effervescent preparations for baths Geyser – a holiday for body and soul! 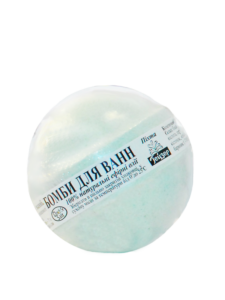 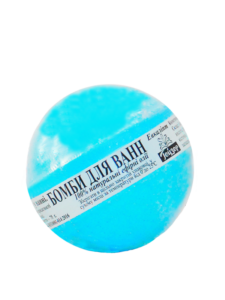 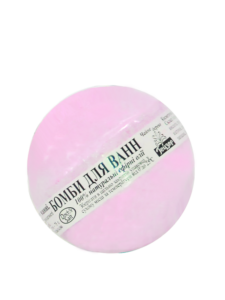 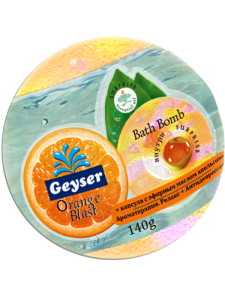 It’s simple, drop the bomb or an effervescent tablet in water and it will explode a mass of colorful fragrant bubbles, saturating the water 100% natural essential oils. Your body will feel delighted to fulfill your desires and know the healing power of nature. 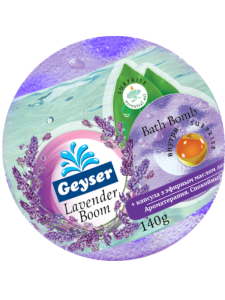 Geyser Bath bomb c capsule of essential oil of orange «Orange Blast» 140 g. Geyser Bomb for baths with capsule of essential oil of ylang-ylang "Sparkling Rose" 140 g. Geyser Bath bomb c capsule of essential oil of lavender «Lavender Boom» 140 g Geyser Bath bomb c capsule of essential oil of lemon "Fizzy Lime" 140 g.